Find free classifieds for Electronics for sale for sale or to buy in Andhra Pradesh. FREEADS in India offers you a platform to post free advertisements or classifieds for Electronics for sale, Andhra Pradesh. FREEADS in India helps you search, find, buy, sell, rent or hire in various categories like apartments, goods for sale, local services, cars , jobs and many more in Andhra Pradesh. Shown below are ads available in Electronics for sale, Andhra Pradesh. You can use search box above to refine your search. Line Interactive Ups manufacturers and suppliers in Hyderabad, Vijayawada – Deltek powerlines We are manufacturers, suppliers of Online UPS Systems, Offline UPS, Industrial UPS, Domestic UPS, Line Interactive UPS, Electronic UPS, Digital Ups Systems and Home UPS System. 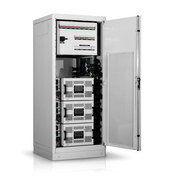 UPS, Inverters manufactures and Suppliers in Hyderabad, Vijayawada, Warangal, Tirupati, Guntur, Vishakhapatnam, Andhra Pradesh, Telangana, India. 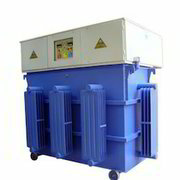 Deltek powererlines are Suppliers and Dealers of Servo Stabilizers, Voltage Stabilizers, Three Phase / Single-Phase Air-Cooled Servo Voltage Stabilizers, Residential servo Stabilizers, Isolation Transformers, Domestic UPS and Online UPS manufacturers in Andhra Pradesh, Telangana, Hyderabad, Vijayawada, Warangal, Vishakhapatnam, Tirupati. Satya is a certified fridge company in vijayawada with years of expertise in repairing all brand's of ac's samsung, lg you name it we do it for more infromation visit our site. #Fridge repair in vijayawada # Fridge repair services centers in vijayawada #Ac Fridge Repair Services In vijayawada http://www. Product details: Type: Automatic Minimum Order Quantity: 1 Unit Frequency: 47 - 53 Hz Output Voltage: 230 V Input Voltage: 170 - 270 VAC Product description: Deltek Powerlines are the manufacturers of Servo stabilizers, Servo Voltage Stabilizers, Isolation Transformers and UPS Systems. Offline Ups, Online Ups, servo voltage stabilizer suppliers in Hyderabad, Vijayawada, Warangal, Tirupati, Guntur, Vishakhapatnam, Rajahmundry, Kakinada India. 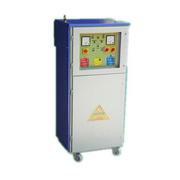 Three Phase Air Cooled Servo Voltage Stabilizers Manufacturers in Vijayawada – Deltek Powerlines Deltek Powerlines offers wide range of Servo voltage stabilizers, Three Phase stabilizer suppliers, Isolation Transformer manufactures, Online Ups Systems, Air Cooled voltage stabilizer dealers in Hyderabad, Vijayawada, Guntur, Vizag, Warangal, Tirupati, Andhra Pradesh, Telangana, India. 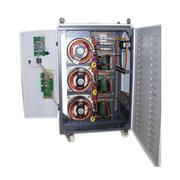 We are the leading manufacturers of Servo Voltage stabilizers in Hyderabad, Vijayawada and supplies our servo voltage stabilizer in Telangana and Andhra Pradesh. PRODUCT DETAILS: Minimum Order Quantity: 1 Unit Nominal Output Voltage: 230 V Line Frequency Variation: 47 Hz - 53 Hz Control Digital: Analogue Output Voltage: 230 Input Voltage: 170 - 270 Phase: Single Phase Features: High work capacity, Power efficiency, completely tested. We are manufacturers, suppliers of Online UPS Systems, Offline UPS, Industrial UPS, Domestic UPS, Line Interactive UPS, Electronic UPS, Digital Ups Systems, Home UPS System. UPS, Inverters manufactures and Suppliers in Hyderabad, Vijayawada, Warangal, Tirupati, Guntur, Vishakhapatnam, Andhra Pradesh, Telangana, India. Identis Tech solutions is a hyderabad based RFID tags manufacturer offers wide range of NFC tags, jewellery tags, animal tags, windshield tags etc. We also NFC stickers which are widely used in banking, telecom, retail and automobile industries for best price in industry. We offer in customized sizes and shapes as per your requirement. 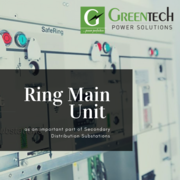 How I Purchase Ring Main Unit in Vizag? Are you wanted to buy Ring main unit in Vizag? Thinking about how to purchase high quality products! Do not worry about that now because Greentech Power solutions well qualified dealers always get ready to help you to buy best best quality products. Get more information please feel free visit our Website. Industrial Online Ups System Manufacturers and Suppliers in Hyderabad, Vijayawada – Deltek powerlines We are manufacturers, suppliers of Online UPS Systems, Offline UPS, Industrial UPS, Domestic UPS, Line Interactive UPS, Electronic UPS, Digital Ups Systems, Home UPS System. UPS, Inverters manufactures and Suppliers in Hyderabad, Vijayawada, Warangal, Tirupati, Guntur, Vishakhapatnam, Andhra Pradesh, Telangana, India. Industrial Ups System Manufacturers and Suppliers in Hyderabad, Vijayawada – Deltek powerlines We are manufacturers, suppliers of Online UPS Systems, Offline UPS, Industrial UPS, Domestic UPS, Line Interactive UPS, Electronic UPS, Digital Ups Systems, Home UPS System. UPS, Inverters manufactures and Suppliers in Hyderabad, Vijayawada, Warangal, Tirupati, Guntur, Vishakhapatnam, Andhra Pradesh, Telangana, India. Isolation Transformers Manufacturers and Suppliers in Hyderabad, Vijayawada – Deltek powerlines Deltek powerlines are Ultra and Step-Down isolation transformer manufacturers in Andhra Pradesh, Telangana. 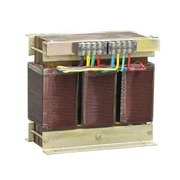 Ultra-isolation transformers, Three Phase Isolation Transformers, Step Down Transformers, Single Phase Isolation Transformer Manufactures and Suppliers in Hyderabad, Vijayawada, Guntur, Vizag, Warangal, Tirupati, India. Isolated Step-Down Transformers Manufacturers and Suppliers in Hyderabad, Vijayawada – Deltek powerlines Deltek Power Lines are the Manufacturer of isolation Transformers in Andhra Pradesh, Telangana. We are dealers in Ultra isolated Transformers, Three Phase Isolated Transformers, step down and Step Up Isolated transformer, Air cooled and Oil Cooled Isolation Manufacturers in Hyderabad, Warangal, Vijayawada, Vizag, Tirupati, All Over India. Special Features • Wireless (GPRS / Wi-Fi) elegant ergonomic design. • Mode: Finger Print, Face, RFID • 3.0 inch TFT Touch screen & 7 digit user id • Infra red optical system enables to identify in poor light environment. 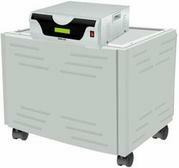 • Face capacity: 1500 • Fingerprint: 2000 • ID card capacity: 10, 000 • Logs Capacity: 100000 • Gross Weight: 0. Three Phase Isolation Transformers Manufacturers and Suppliers in Hyderabad, Vijayawada – Deltek powerlines Deltek Powerlines are the manufacturers of Servo stabilizers, Servo Voltage Stabilizers, Isolation Transformers and UPS Systems. Offline Ups, Online Ups, servo voltage stabilizer suppliers in Hyderabad, Vijayawada, Warangal, Tirupati, Guntur, Vishakhapatnam, Rajahmundry, Kakinada India. OIL COOLDED VOLTAGE STABILIZERS MANUFACTURERS AND SUPPLIERS IN HYDERABAD, VIJAYAWADA – DELTEK POWERLINES Deltek Powerlines are the manufacturers of Servo stabilizers, Servo Voltage Stabilizers, Isolation Transformers and UPS Systems. Offline Ups, Online Ups, servo voltage stabilizer suppliers in Hyderabad, Vijayawada, Warangal, Tirupati, Guntur, Vishakhapatnam, Rajahmundry, Kakinada India. 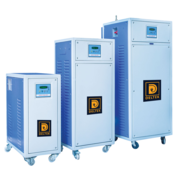 OIL COOLED VOLTAGE STABILIZERS MANUFACTURERS AND SUPPLIERS IN HYDERABAD, VIJAYAWADA – DELTEK POWERLINES Deltek Powerlines are the manufacturers of Servo stabilizers, Servo Voltage Stabilizers, Isolation Transformers and UPS Systems. 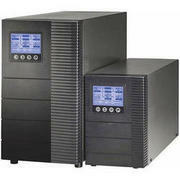 Offline Ups, Online Ups, servo voltage stabilizer suppliers in Hyderabad, Vijayawada, Warangal, Tirupati, Guntur, Vishakhapatnam, Rajahmundry, Kakinada India. We offer a wide range of Decorative Ceiling fans. These fans are available in different color with decorative show & trims on the center and the blades. Apart from this, our fans are also in compliance with the ISO standards and hence offer a longer service life as compared to many other brands. These Patny fans can be availed in different models and sizes, as per the detailed requirements of the client. INDUSTRIAL SINGLE PHASE VOLTAGE STABILIZERS MANUFACTURERS IN HYDERABAD, VIJAYAWADA - DELTEK POWERLINES Deltek Powerlines are the manufacturers of Servo stabilizers, Servo Voltage Stabilizers, Isolation Transformers and UPS Systems. 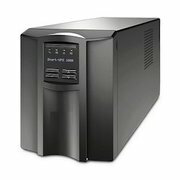 Offline Ups, Online Ups, servo voltage stabilizer suppliers in Hyderabad, Vijayawada, Warangal, Tirupati, Guntur, Vishakhapatnam, Rajahmundry, Kakinada India. 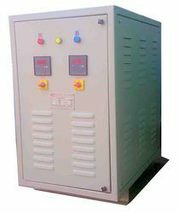 SERVO CONTROLLED VOLTAGE STABILIZER MANUFACTURERS IN HYDERABAD, VIJAYAWADA – DELTEK POWERLINES Deltek power lines are the manufacturers for Voltage stabilizers in Hyderabad and Vijayawada. There voltage stabilizers are used to protect your residential and industrial equipment’s from power fluctuations and are ranged from 1KVA – 2000KVA in different models. RESIDENTIAL SINGLE-PHASE STABILIZERS MANUFACTURERS & SUPPLIERS IN HYDERABAD, VIJAYAWADA – DELTEK POWERLINES PRODUCT DETAILS: Frequency: 47 to 53 Hz Correction Rate: 35 V / Sec Phase: Single Available Range: 20KVA, 30 KVA, 40KVA Available Prices: 35000 Rs. 45000 Rs. Rs55000 Rs. 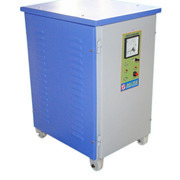 SPECIFICATION FOR SINGLE PHASE SERVO STABILIZERS (OIL COOLED): Capacities: 1 KVA to 20 KVA Output Voltage Range: 230V single-phase (Can be set anywhere between 220V-240V) Output Regulation: Output regulation: ± 1% of the set output voltage over the specified input range from no load to full load. SINGLE PHASE SERVO VOLTAGE STABILIZERS MANUFACTURERS IN HYDERABAD, VIJAYAWADA – DELTEK POWERLINES Deltek power lines are the manufacturers for Voltage stabilizers in Hyderabad and Vijayawada. 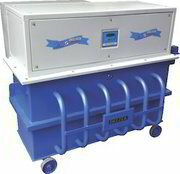 There voltage stabilizers are used to protect your residential and industrial equipment’s from power fluctuations and are ranged from 1KVA – 2000KVA PRODUCT DETAILS: Minimum Order Quantity: 1 Unit Nominal output voltage: 230 V Line frequency variation: 47 Hz - 53 Hz Control: Digital, Analogue Response: time 10 ms Phase: Single phase, Single Phase Features: Superlative performance High durability Competitive prices SPECIFICATIONS: Input Voltage Range: 180V – 280V, 160V – 280V, 140V – 280V Output Voltage Accuracy: ± 1% Response Time: 10 ms.
AIR COOLED THREE PHASE VOLTAGE STABILIZERS MANUFACTURERS IN HYDERABAD, VIJAYAWADA – DELTEK POWERLINES Deltek powererlines are Suppliers and Dealers of Servo Stabilizers, Voltage Stabilizers, Three Phase / Single-Phase Air-Cooled Servo Voltage Stabilizers, Residential servo Stabilizers, Isolation Transformers, Domestic UPS and Online UPS manufacturers in Andhra Pradesh, Telangana, Hyderabad, Vijayawada, Warangal, Vishakhapatnam, Tirupati. We specialized in manufacturing ESD safe products, ESD workstation, equipment, conductive compoUnds, masterbatches of excellent product quality. 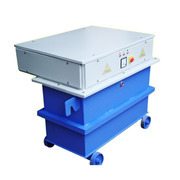 We are reputed manufacturer of ESD products for many industries. To meet the demands of the growing industry we offer at competitive price. http://www.kineticpolymers.com/instrument/instrument-to-measure-static-electricity/ D-13/2, . India ads for Electronics for sale, Andhra Pradesh, Electronics for sale free ads Andhra Pradesh, Electronics for sale for sale Andhra Pradesh, Electronics for sale to buy in Andhra Pradesh. This page is a classified ads listing for Electronics for sale Andhra Pradesh. This listing includes classifieds for sale and to buy in Andhra Pradesh. If you posted an advertisement on Electronics for sale, Andhra Pradesh before please use Edit my ads button to change or cancel your ad. Electronics for sale Andhra Pradesh ads Andhra Pradesh, Electronics for sale classifieds Andhra Pradesh, Electronics for sale free ads Andhra Pradesh, ads for sale Andhra Pradesh, ads to buy Andhra Pradesh, FREEADS in India. Find here ads for sale, to buy and rent in Andhra Pradesh. Goods for sale in Andhra Pradesh, vehicles for sale in Andhra Pradesh, Andhra Pradesh real estate for sale, Andhra Pradesh property for sale, property for rent in Andhra Pradesh, business ads in Andhra Pradesh, Andhra Pradesh business classifieds, services in Andhra Pradesh, Andhra Pradesh services ads, jobs in Andhra Pradesh, pets for sale in Andhra Pradesh, Andhra Pradesh dating, Andhra Pradesh cars for sale.